JP-Australia (full wood sandwich) Boards, mit North Sails, Neil Pryde und Attitude Sails, aufgeriggt auf Carbonmasten mit 75% bis 100% Carbonanteil. Easy enough for every slightly advanced rider but at the same time exciting for the experts. Great jumpers! Loose enough to be called wave boards and fast enough to chase your friends around. Probably the most versatile boards ever produced. Masts: 55% to 100% carbon. 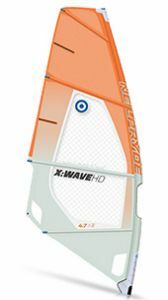 The SUPER SESSION is the perfect sail for that covering the wide range from flat water to wave. A power wave engine that combines great low end potential with speed, handling and excellent control. Fast blows, casual jumps and full-throttle turns flow seamlessly together and make you push harder and harder – like an endless SUPER SESSION. 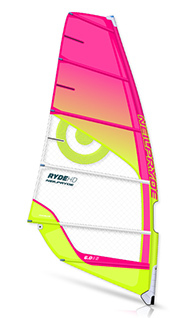 The 5-batten layout results in an outstandingly balanced design focussing on acceleration, stability and handling. The new SUPER SESSION feels light and crisp thanks to a higher and further forward oriented draft position. The E_TYPE is exactly the type of sail to help windsurfing to regain its real fascination. 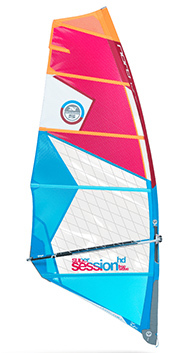 Windsurfing has never been so relaxed and exciting at the same time! better early planing and performance to suit all levels of rider and a wider variety of conditions. conditions, but still light in the hands and fantastically maneuverable. 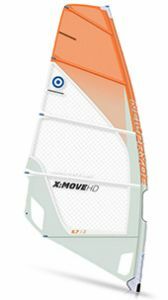 Masts: Unifiber 80 to 100 % carbon. Die Boards/Fixboards sind bei uns einzeln fest zu reservieren, so dass dein gewaehltes Board waehrend deines Aufenthaltes fuer dich jederzeit zur Verfuegung steht. Falls du im Voraus ein „Prerformance“ Board gebucht hast, kannst du natuerlich auch, falls diese gerade frei sind, „Standard“ oder „Performance“ Boards nutzen.